"You were supposed to call me at 6:00 AM!" I complained. "What if I had a million-dollar deal to close this morning, and your oversight made me miss out on it?" 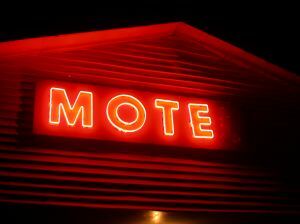 "Well, sir," the desk clerk quickly replied, "if you had a million-dollar deal to close, you probably wouldn't be staying in this motel!"